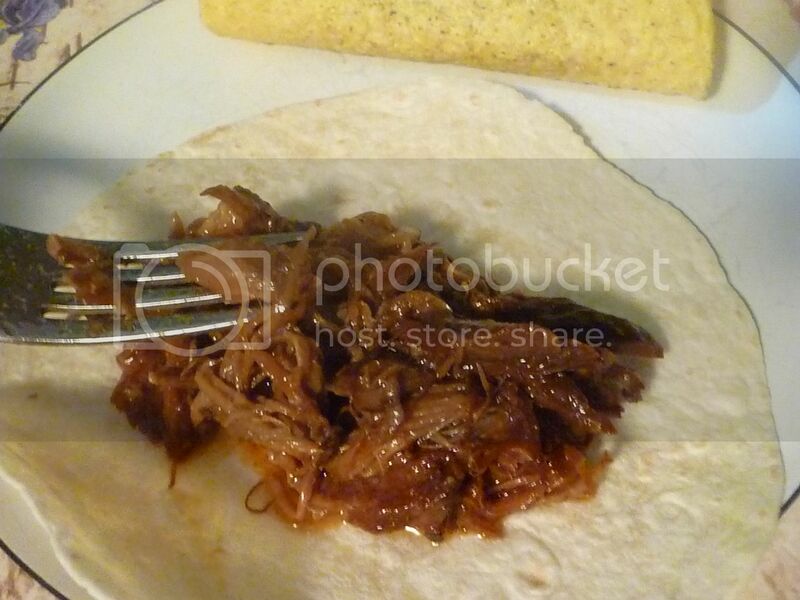 I love my recipe for Pulled Pork. A lot. If I ate nothing else for the rest of my life, I would eat this dish. But other people, while fans, don't have that same devotion to slow-cooked meat slathered in BBQ. So when I make it, I've got to get a little creative. 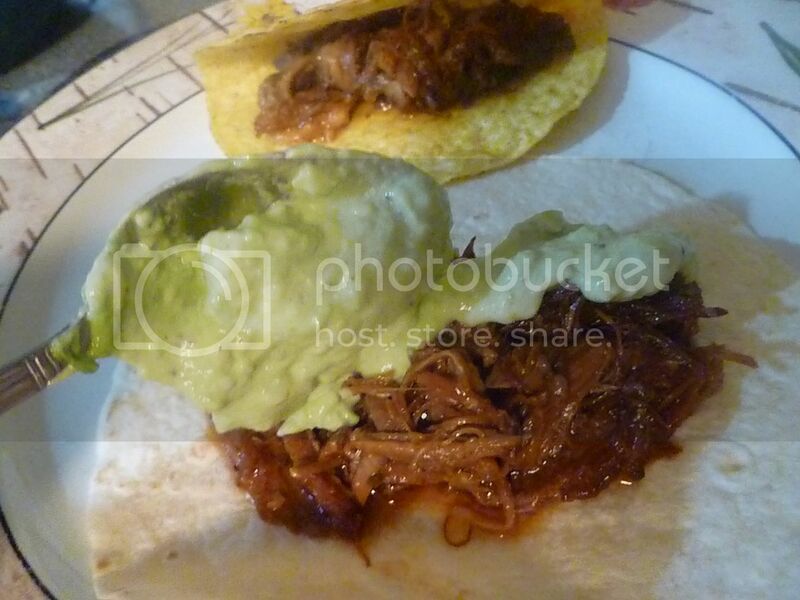 And there's no better way to use up leftover meat than with tacos. 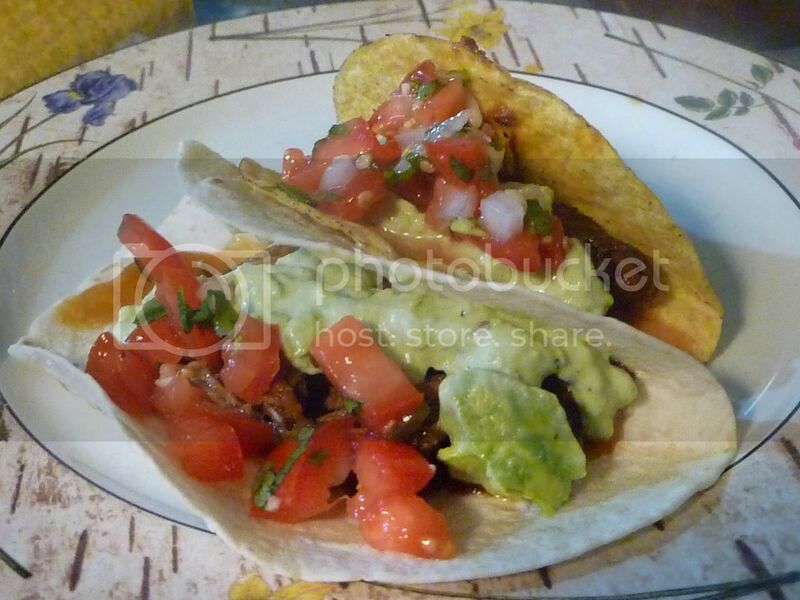 To avoid showing you a recipe where I just stuff some taco shells with meat, I decided to make my own taco toppers. 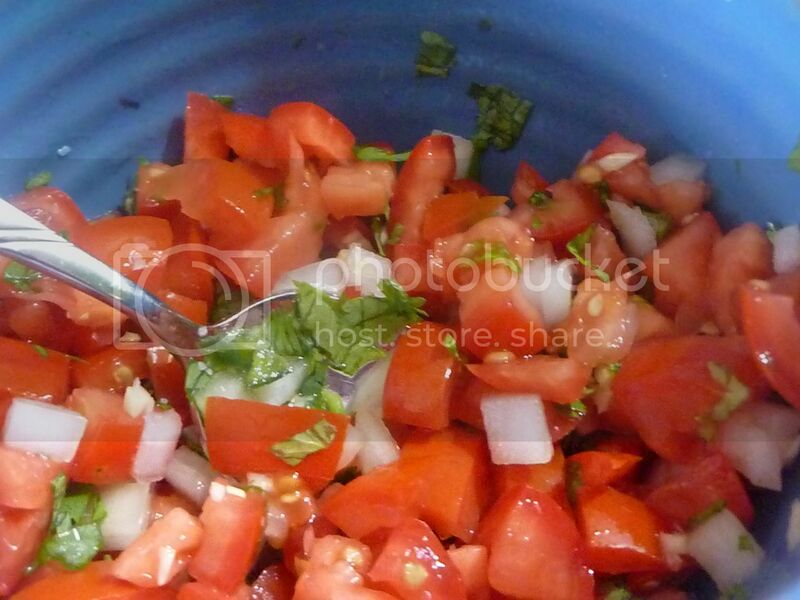 Some fresh salsa, also known as pico de gallo, and avocado cream. 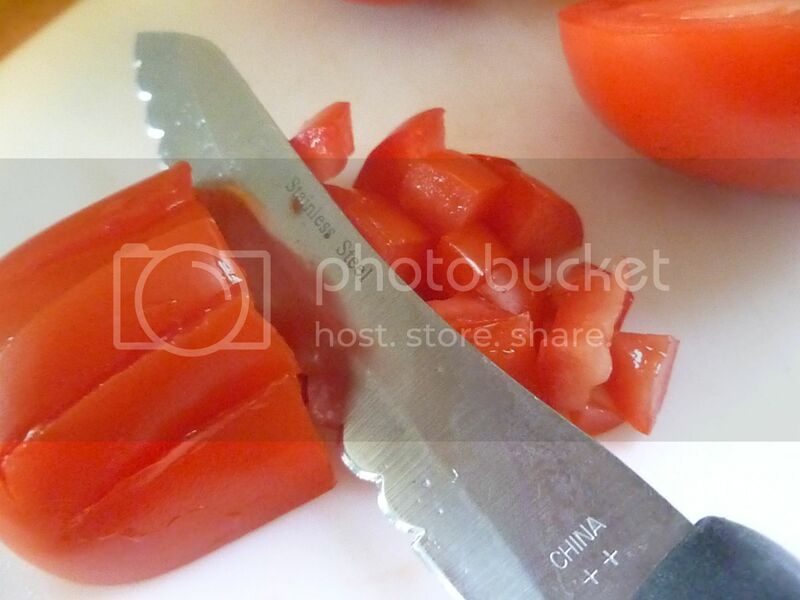 Then you turn the tomato 90 degrees and cut the planks into cubes. Do the same with an onion. I used something like 1/4 of an onion. Messily mince a clove of garlic and add it to the onion and tomato. Or just try to do a better job than I did.Wipe your board clean first if tomato water everywhere bothers you. Squeeze in the juice of half a lime. Track down a jalapeno. In an attempt to limit the contact my hands have with the inside of the pepper (the hottest part), I cut jalapenos from the bottom up, and mince them that way. Or you could wear gloves. I just hate how they feel on my hands. Anyway, mince it up and add it to the bowl of tomatoes. 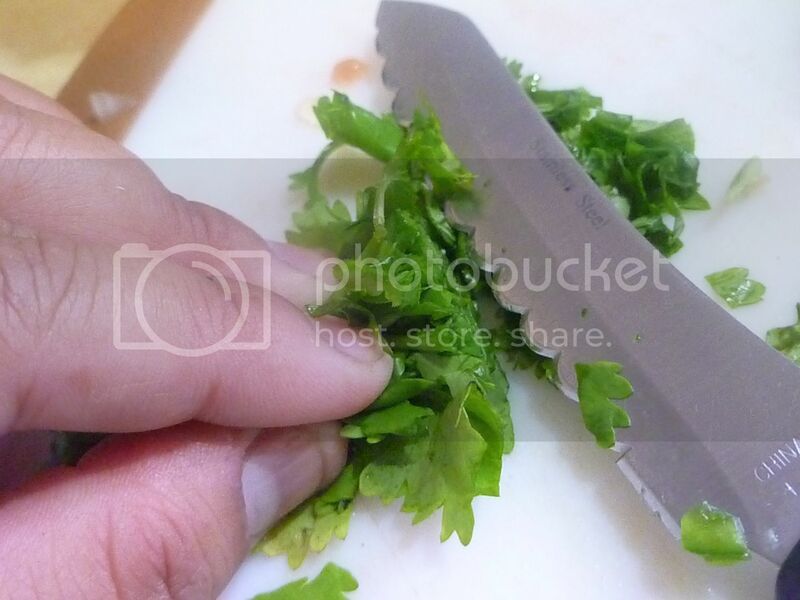 Grab a handful of lovely fresh cilantro. 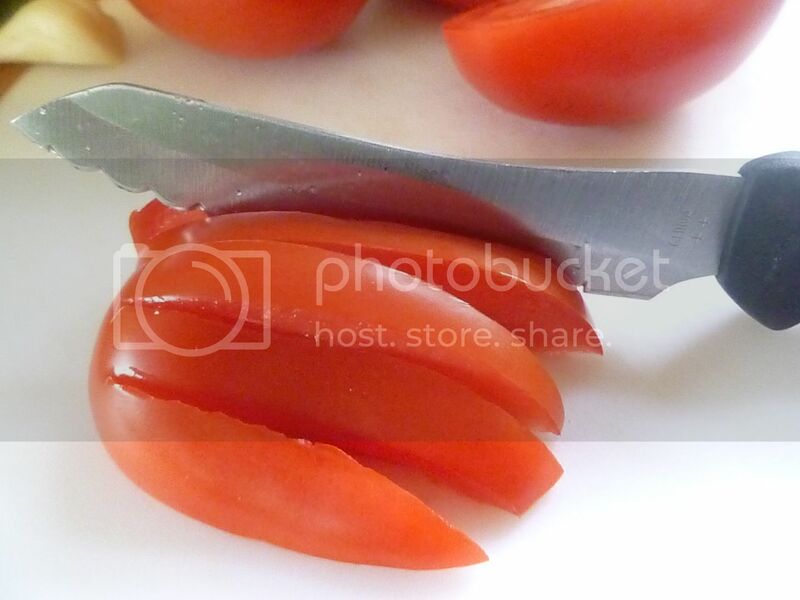 Gather it up to make a tight bundle, for easier cutting. 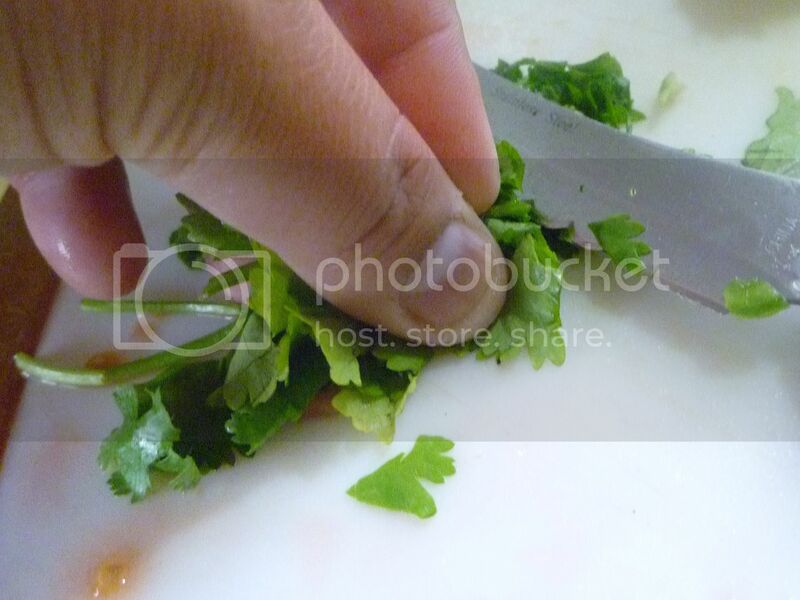 Add the cilantro the bowl, along with some salt and pepper. Stir it up and let it sit. 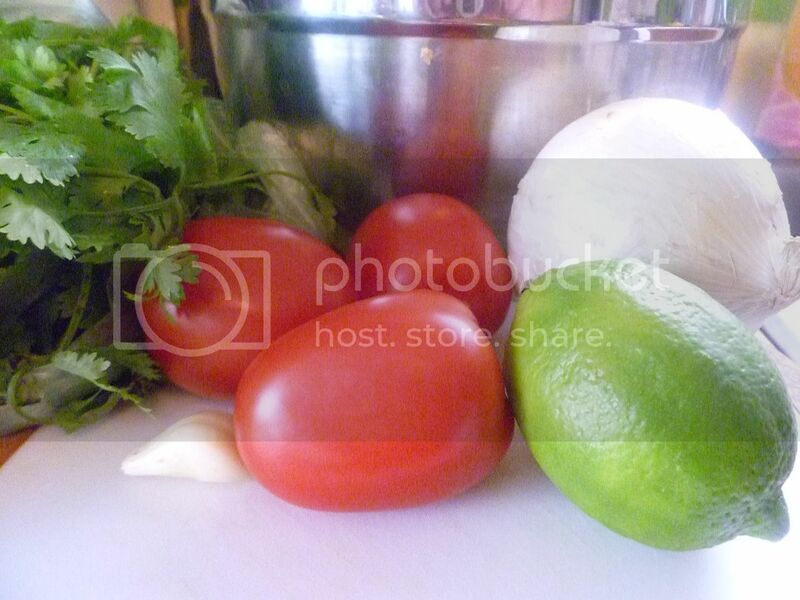 For optimum pico-ness, you can make this a day in advance and let the flavors meld overnight. Now that the pico is done, you make the avocado cream. Pick a nice, ripe avocado. I like to buy mine while they're still firm, and let them ripen at home. There's less chance that they'll get overly bruised that way. 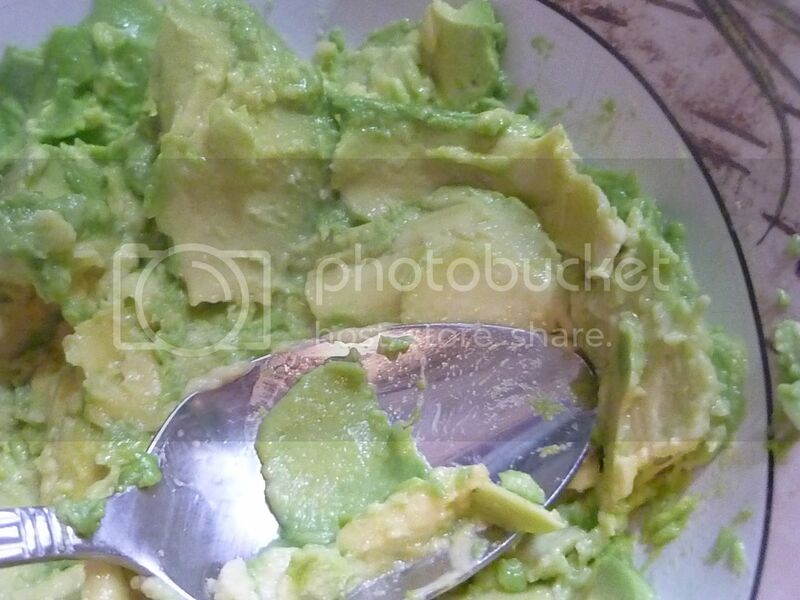 Scoop the avocado meat out of the peel and mash it around in a bowl until it's as smooth or chunky as you like it. To keep it from turning brown, use the rest of your lime's juice. 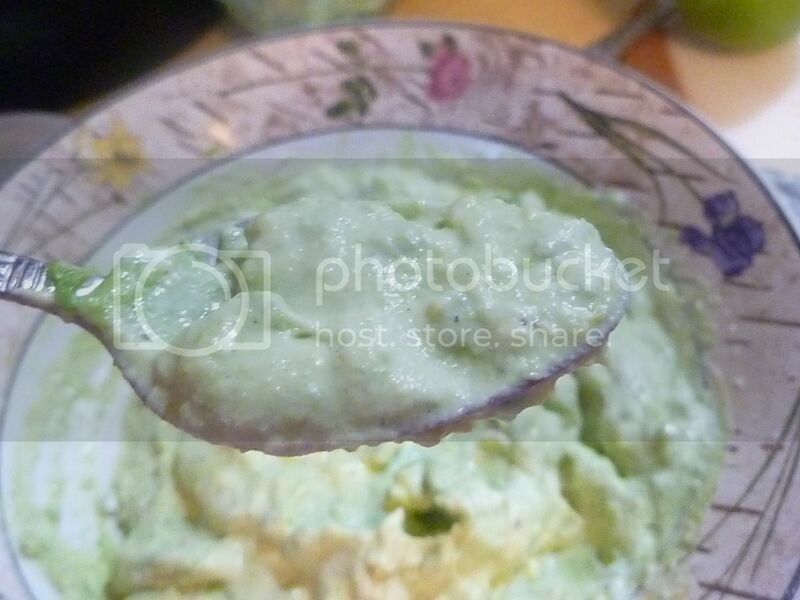 Avocado cream is pretty much exactly what it sounds like--avocados and cream. So add the cream. In this case, sour cream. Be sure to add salt and pepper! So pretty and green and creamy. Now that your taco condiments are ready, you can start assembling. First the meat. Have I mentioned how much I love tacos? 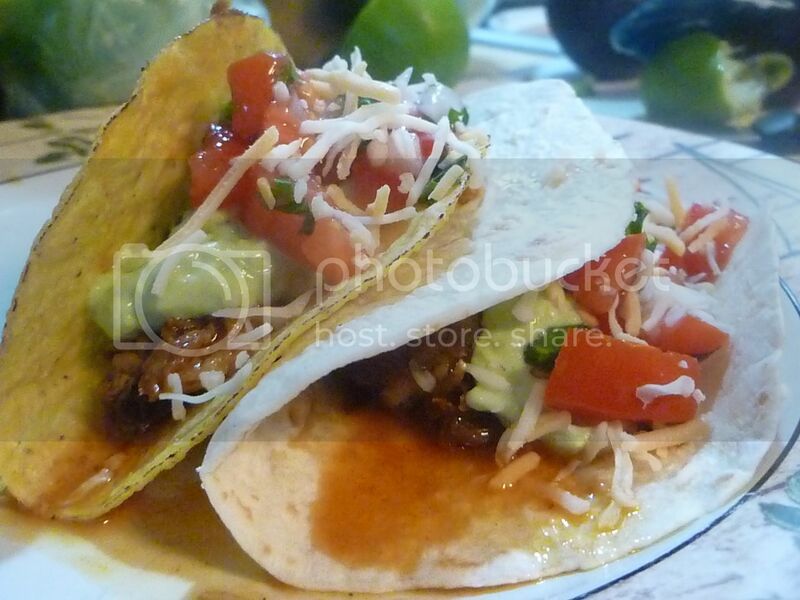 A sprinkle of cheese, and your tacos are ready! This is a great recipe for any leftover meat. Try using leftover Dry-Rubbed BBQ Chicken, Slow-Cooker Pot Roast, or Stout-Braised Short Ribs! Combine all ingredients and stir. 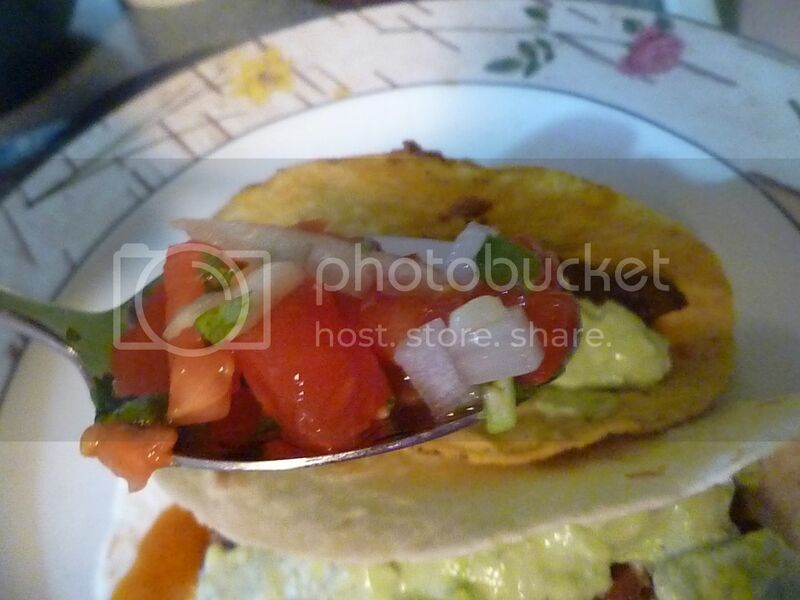 To assemble tacos: Spoon meat into shells. Top with avocado cream and pico. Serve!